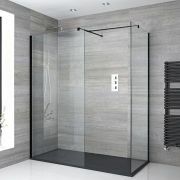 The Milano 1400x900mm walk-in shower enclosure with slate effect tray is perfect for adding designer style to your bathroom or en-suite. 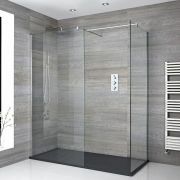 Featuring 8mm toughened glass with an easy clean protective coating, this walk in shower provides easy access in and out of the shower. 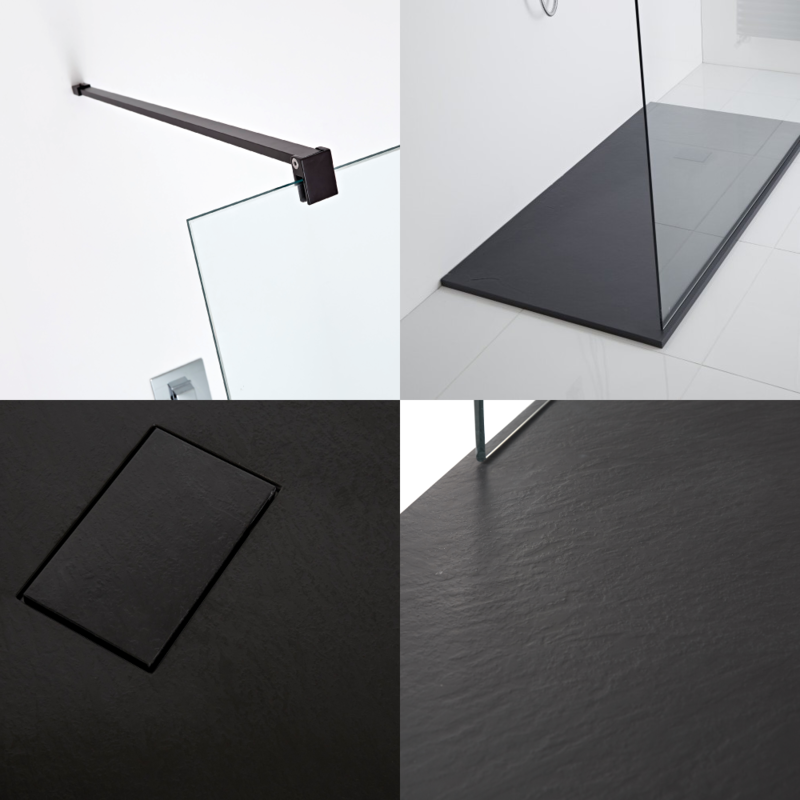 The 1400mm glass panel with black profile measures 1950mm in height to catch more splashes. 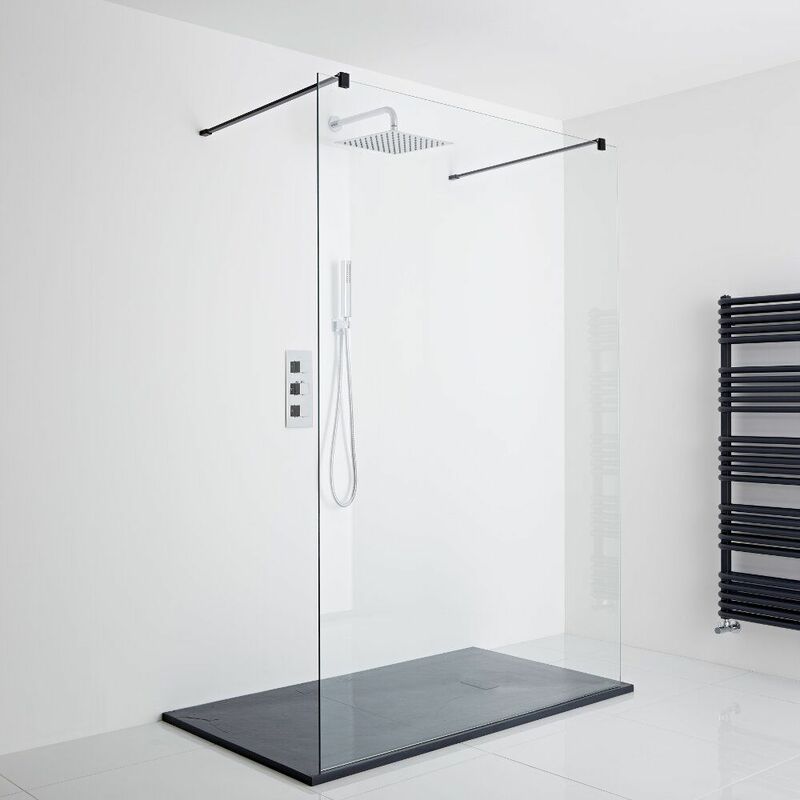 Two black support arms are included. 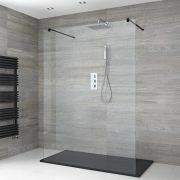 The walk-in shower comes with a lightweight yet durable 1400x900mm shower tray, which features a slate effect finish for a natural feel. A waste is supplied. 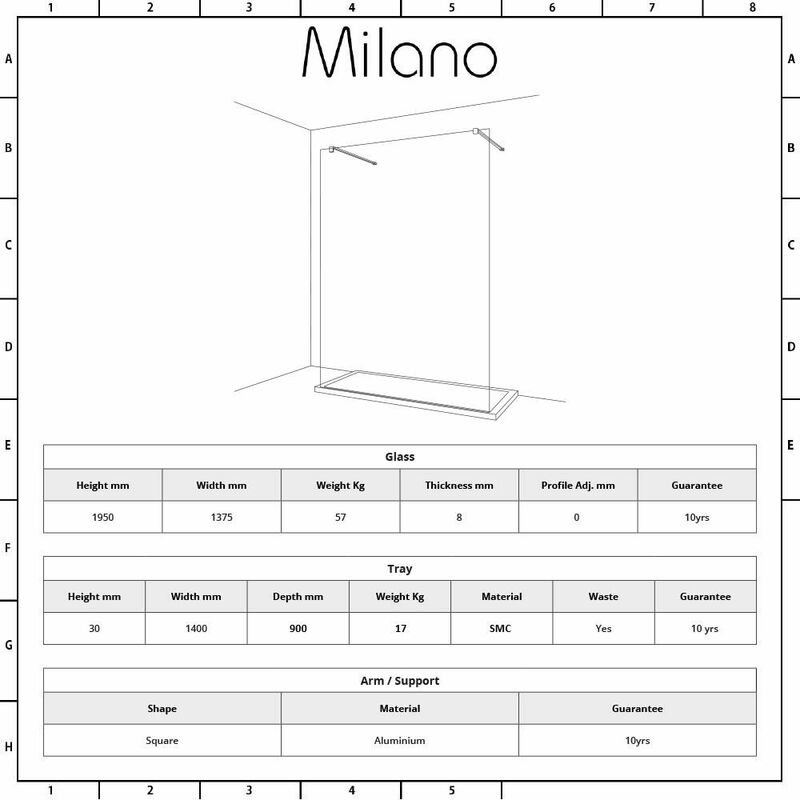 The support arms measure 1000mm in length, but can be cut down to size if required.